Our best of the best!! This case is for people who want the highest quality solid wood case to preserve their priceless collectibles. 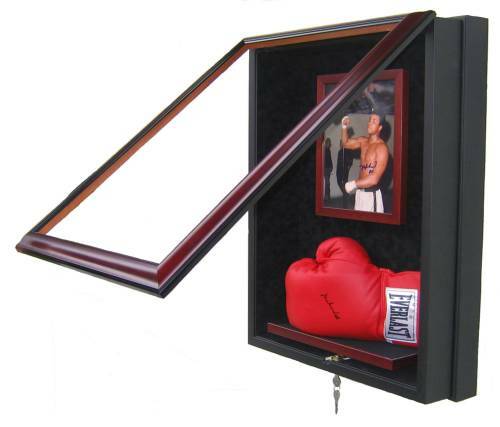 Case features a solid wood, hinged front door that locks to protect your boxing glove and photo/certificate. Case comes in your choice of 5 wood finishes and 11 suede matting colors. Also features U.V. conservation glass which protects your ball from 97% of damaging U.V. rays. 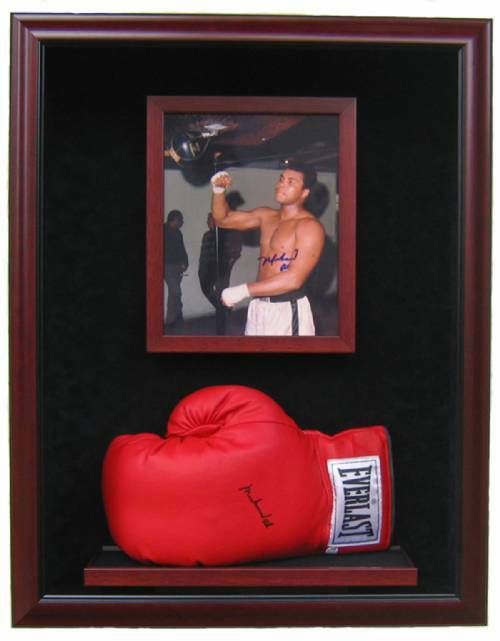 Boxing Glove sits on a individual suede shelf and the 8x10 Frame removes easily. 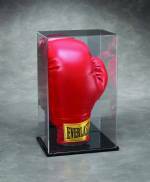 The glove is not bolted, glued or pinned down to hold in place like so many other display cases on the market. That makes this unique among display cases. Handmade in the U.S.A.!! For case size and dimensions, please click here.